Work your way to pass the hearing aid specialist licensing exam here in South Carolina in about 3 to 6 months depending on your speed. As opposed to a 2 years course at accredited colleges and universities, the Hearing Aid academy offers you a chance to complete the online program in 12 weeks. If you are tired of your job and want to work for the betterment of people; prepare for the International Licensing Exam (ILE) administered by the International Hearing Society (IHS). If not detected earlier in children, hearing loss can alter the way a child speak, learn, and interact with others. Therefore, it is important to identify hearing loss at the earliest and visit a qualified hearing aid specialist to get aid that works perfectly. It is essential to find hearing aids that fit your lifestyle and demands. This is the reason why major retailers are opening up hearing aid centers throughout the nation. Further, to fill in the generated vacancies, they need licensed professionals. This is your chance to work for yourself and increase your earning potential. Prepare for the hearing aid specialist licensing exam here in South Carolina and enjoy working flexible hours. Working as a hearing aid specialist (HAS), give you a chance to break the monotony of working the regular 9 to 5 job. As a licensed HAS, you can be your own boss and work flexible hours with holidays and weekends off. If you want to prepare for the hearing aid specialist licensing exam here in South Carolina, avoid the traditional route to become a graduate. Rather register with the Hearing Aid Academy and complete the program in 3 to 6 months. Also, the monthly payments start as low as $199 per month. This is just a fraction of the amount you need to pay at an accredited college or university for a two-year program. Further, you can even work your daytime job and study at night when you opt for this 100% online self-paced program. While working as a licensed hearing aid specialist, you are responsible to evaluate people with hearing loss and make it easy for them to choose a hearing aid that fits. A qualified HAS is also responsible to provide patients with a series of tests and evaluate the results to make sure the hearing aids fit and perform perfectly. After passing the hearing aid specialist licensing exam here in South Carolina, you can work at one of the retail stores, offer mobile hearing testing or open a hearing health center. 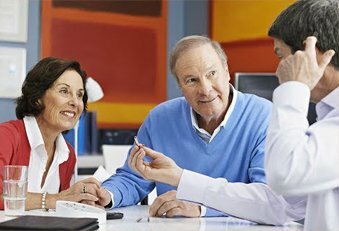 For every hearing aid that you sell, you can easily generate a profit of up to $1000. So by selling a few pair of hearing aids, you can earn huge profits through the year. The hearing health industry is growing at a fast pace and is not going to slow down any time soon. Many retailers such as Costco, Miracle-Ear, CVS Pharmacies, Walgreens and Sam’s Club, who are opening hearing centers around the nation, need licensed HAS. Due to lack of licensed professionals to fill in the vacancies, the companies have slowed down their expansion process. If you have been thinking about changing your career with a high paying career, this is the right time to prepare for the hearing aid specialist licensing exam here in South Carolina. Thus, for every licensed professional, there are five job opportunities, are you one of them? Enroll with the Hearing Aid Academy and start working towards your goal of building a career that provides huge income potential. Online education programs such as Hearing Aid Academy comes with plenty of benefits. This comprehensive and advanced education program helps students pass the exam in 3 to 6 months. If you are a busy professional who cannot afford to leave his job? If so, online education curriculum fits your needs. An online program such as the Hearing Aid Academy makes it easy to learn whenever or wherever you want. By registering for this 100% online course, you just need a laptop and a working internet connection to start studying. So study at your pace and become a graduate within 3 to 6 months according to your convenience. The payments for Hearing Aid Academy’s online course start as low as $199 per month. This is just a fraction of the cost charged by traditional colleges. Moreover, the academy is proud to offer financial assistance to students who qualify for the program. The academy focus on specialized education required to pass the International Licensing Exam. By cutting out the unnecessary subjects we are able to keep the fees low. We are proud of high success track record and help our students pass the licensing exam at the earliest. Looking forward to changing your career path? Want a high paying career? Get the skills you need to pass the hearing aid specialist licensing exam here in South Carolina by registering with the Hearing Aid Academy today!